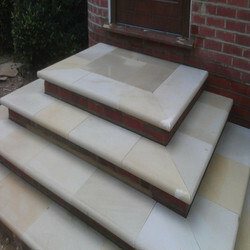 Leading Manufacturer of sandstone paving steps and sandstone pavings from Sironj. 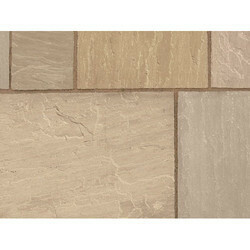 Sandstone usage is very much in fashion right now and looks good in both a contemporary or traditional setting and as your interior fashions changes, you will have a good neutral base on which to add any color, pattern, style or design. Beige Stonewalling at entrance hall can transform a property and can make the area seem more spacious, particularly when extended through the house, into the kitchen or conservatory, rooms which really suit a solid floor.